A piece of Leica history is on auction at Christie’s – or more specifically, 107 pieces of history. 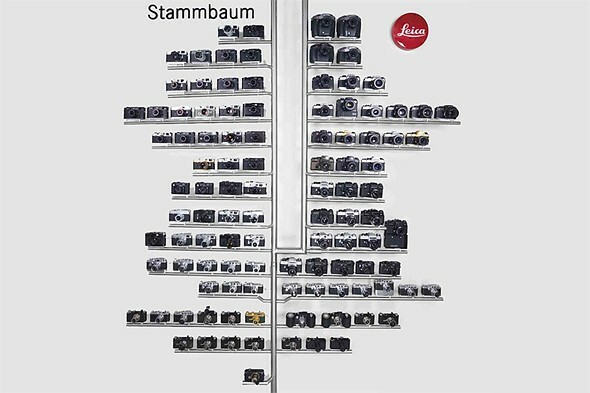 The Stammbaum, or family tree, once greeted visitors at the company’s Solms, Germany headquarters and includes models introduced throughout Leica’s history. The collection traces models from rangefinder and SLR product lines all the way back to the U-r Leica, a prototype 35mm camera designed by Oskar Baranack. The auction is open at Christie’s through September 14, 2016. The family tree’s assessed value is between £350,000 and £450,000 (roughly $456,400 – 586,800). If that’s a bit steep for you, there’s a free PDF download showing the camera models included over at apotelyt.com.